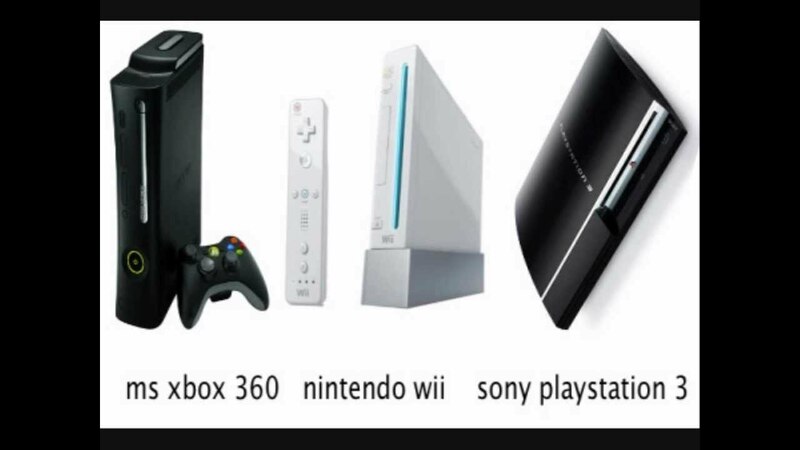 This year, we are finally starting up the 8th generation console wars. Nintendo started it with the release of the Wii U. Sony and Microsoft are joining the war later this year with the Playstation 4 and Xbox One, respectively. For some gamers, they think it was about time and the 7th generation should have ended sometime last year. But there was a reason why this period seemed to last longer. I don’t think the publishers and game companies really saw a need. I personally don’t see the need right now as well. The current generation of consoles have still a lot to show off and I’m not sure if it was the right time to really turn over to the next generation. Let’s look at the first company to launch a new console. Nintendo released the Wii U during last year’s holiday season. To very disappointing sales numbers. I’m pretty sure everyone knew what a Wii is (since it was everywhere for quite a while) but, if the First Lady has no idea you have an upcoming console, you’re in trouble. On to the Xbox 360. I’ve never gotten one but I am a bit envious of the games that it has in its library. I did have the original Xbox and I loved the Halo series. Sadly, I’ve never been able to close out Master Chief’s original trilogy. I also haven’t been able to play dress up and crack zombie skulls with Frank West in Dead Rising. Xbox Live Arcade has also a huge awesome library of classic and quirky games that should be fun to play now. While the Playstation 3 has been out since 2006, they just appear to be hitting a certain stride just now. Sure, the console has received awesome exclusives before (Uncharted and inFamous, anyone?) but show the recently released The Last of Us and the upcoming Beyond: Two Souls to anyone and the graphics in those games are simply unbelievable… and they are games that are coming up on 7 year old technology! 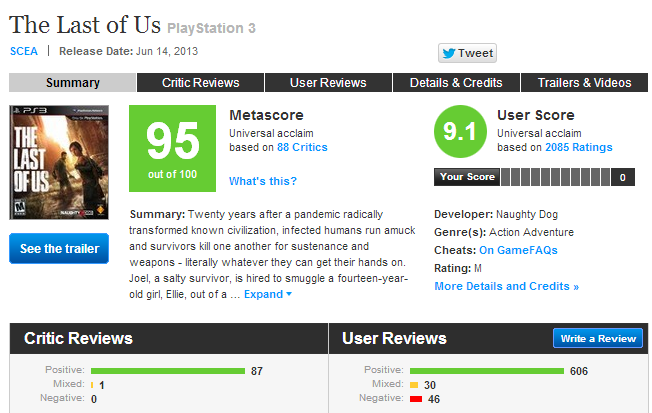 This score is almost unheard of in modern gaming! Also, what’s the main reason why we get gaming consoles? To play games! Yes, I do use my PS3 to play movies and watch Blu-Ray films but that was not the reason why I got it. I bought a PS3 to play games like Street Fighter IV, Resident Evil 6, Heavy Rain and many others. What do I think of it’s ability to play videos? A bonus but not a selling point. So, when I hear that the Xbox One or the PS4 can let you talk to your friends online or let you look at the NFL teams’ stats get updated real time, I gloss over that and crankily wait for the game announcements. Finally, I don’t see any particular game exclusive for the upcoming Xbox One or Playstation 4 that would make me reserve a brand spanking new console. The only game that really got my interest was Watch Dogs… and that game is coming out on both the Playstation 3 and Xbox 360! I won’t be an early adopter this November. For me, it’s just too early in the game to upgrade to the Xbox One or Playstation 4. I’ll be waiting for what new game announcements there will be for them but, right now, I’ll be perfectly content with my Playstation 3. How about you? Will you be getting any of the new consoles this year? Or will you be sticking with what you have? Please leave your thoughts in the comments section below!